Lululemon is a high-end sportswear brand with a focus on yoga products. The company has a strong commitment to the environment, and this needed to be clear from their holiday packaging. Our solution was to create a gift box and bag in one. The unique forms elevate eco-friendly chip board to a package that is worthy of sitting under the Christmas tree. 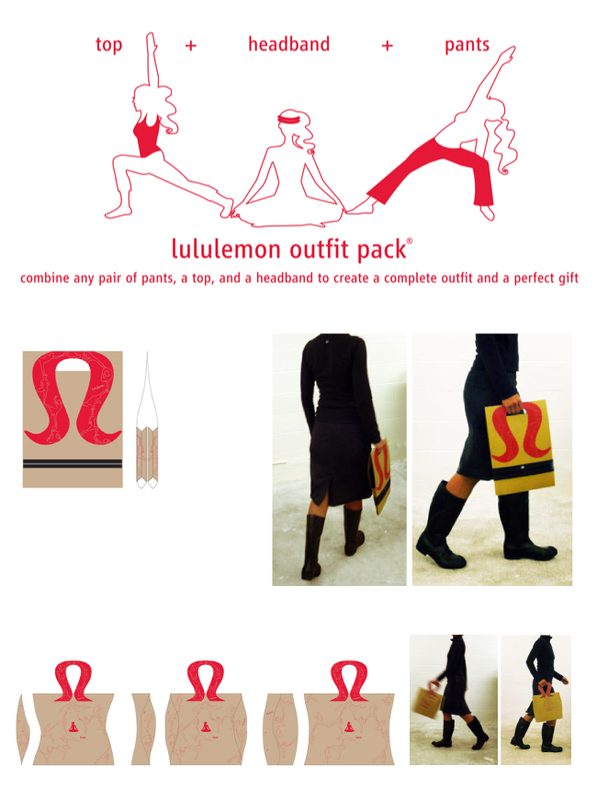 Lululemon’s signature omega logo serves as a foldout handle so no extra bag is required to carry the package.